Bits and Pieces of Time. Louis Auchincloss. 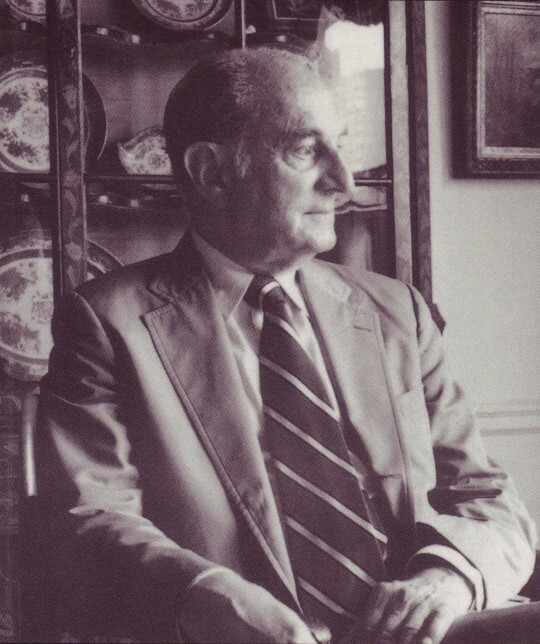 Groton, Yale, UVa Law, Naval Officer (WWII), cousin to Mrs. Kennedy Onassis, president of the American Academy of Arts & Letters and the Museum of The City of New York, full-time partner in a white shoes law firm in New York and denizen of Park Avenue, Mr. Auchincloss lived the life of which he wrote. He wrote his first full novel his junior (and last) year at Yale. Honour, morality and tribal mores were his themes. He wrote a book a year, snatching “bits and pieces of time” to write. That seems to me to be an apt description of his works as well. They are little bits and pieces of time; times that I fear may be behind us for good. The books that I’ve read remind me a bit of Cheever’s stuff. Some may find him a bit stuffy. I hear an older generation’s voice. “Professional people, middle age and up” is his self-described audience, and it’s true that when I first read “Tales” I had not yet reached this middle-age. The stories resonated a bit more with me this weekend and I think I’ll take down “Honourable Men” next, or The Rector of Justin I’ve been waiting to find an author who would lead me back into reading fiction. Louis Auchincloss and his bits and pieces of time may be just what I’ve looked for. Listen to an interview with him here. This entry was posted in Cultivating and tagged Groton, Honorable Men, Jacqueline Kennedy Onassis, Louis Auchincloss, Tales of Yesteryear, The Rector of Justin, UVA Law, Yale. Bookmark the permalink. 9 Responses to Bits and Pieces of Time. Louis Auchincloss. Auchincloss is an unappreciated writer, perhaps because the audience he writes for (educated professionals) has simply stopped turning to fiction (much like yourself, it seems), perhaps because he wrote too damn much (often borrowing from himself and his plots during these “bits and pieces of time”) perhaps because these small chunks of time devoted to the craft never permitted him the chance to construct the edifice of major fiction (he was, it seemed, always a bricoleur, in some sense) or perhaps because he was– like his fading class– limited in subject and in theme. This is best seen in his best work– _Justin_ which you mention, but also _The Embezzler_. My personal favorite is _The Return of the Prodigal_. Perhaps for personal rather than literary reasons. I love Mr. A’s writings. His world, and the one he writes about is probably past, but a man can dream. I normally feel that I am fairly accomplished, but am not familiar with Mr. Auchincloss’s work. Can anyone proved additional suggestions for a reading list. Trying to keep up with the owner of this blog can be full time job; regardless of the amount of fun. Well done. You will be well rewarded. I would love a list as well – in order of your appreciation. I’ve been struggling with the immoral and juvenile antics at work.. and would love to read something that makes me feel there is good in this world. Paul and John, Lots of immorality in the stories. I have only read “Honorable Men”, “Tales of Yesteryear” and “Narcissa & Other Fables”. I’d like to read “The Rector of Justin” and “East Side Stories” as well as “Diary of a Yuppie”. ignorance, I’m a big fan of bricolage. Fine comment, thanks. Thanks for this one, Chris! That interview with Louis Auchincloss made my day. but essentially American (and thus, egalitarian) point of view. You’re welcome Mr. Worthington. Is was a treat to listen to the cadence of his speech and that unique pronunciation. Not really “lock-jaw”, but akin. I’m not familiar with Ms. Draper’s monologue, but I plan to be! Thanks.